The American League of Bicyclists recently released the latest analysis of United States Census data regarding the cities that are cycling to work the most. The report, complied by Attorney Ken McLeod of the American League of Bicyclists, points to a nationwide increase in the number of Americans opting to bicycle to work rather than use motorized transportation. The root of the analysis underscores the following larger point: If you build it, they will come. Meaning, if you build the bike lanes, the cyclists will come to the streets. The League of American Bicyclists analysis is complied from the U.S. Census Bureau’s report and is based on data collected by the American Community Survey (ACS) from 2000 to 2014, gathered from a questionnaire sent to approximately 3.5 million addresses countrywide. The ACS is geared towards workers ages 16 years and older who work outside their home. The questionnaire asks what the respondent’s primary method of transportation was for the previous week’s work commute. For commuters relying on multiple transportation methods for their daily commute, only the method used for the longest distance of their commute will count. Here is the most interesting fact to come from the ACS: The number of bicycle riders across America continues to soar. Nationwide, from 2000 to 2014, bicycle commuting has grown 62 percent. Raw data shows an increase from 488,000 people in the year 2000 to 904,463 people in the year 2014. Even though the overall share of workers commuting by bike remains relatively low – approximately 1.0% of the population –this drastic increase represents the single largest percentage increase of any transportation method in the country. Bicycle sharing programs, such as Chicago’s popular Divvy program. 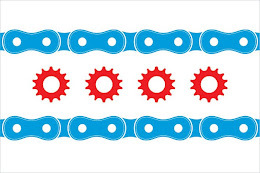 Each year Chicago continues to increase its percentage of bicycle commuters. In 2014, 1.7 percent of the cities population, which translates to about 21,362 people, used bicycles as their primary method of commuting. This is a vast increase from the 1.3 percent or 16,000 of Chicago workers reporting bicycling as their primary method of commuting from 2008 to 2012. The city with the highest percent of residents biking to work was Davis, California with bike lanes on 95% of its major streets. An important final takeaway is that bikes are here to stay. Contrary to the assertions of many in the “anti-bike camp,” bicycling is not a fad and a bicycle is not a child's toy. A bicycle is a vehicle. 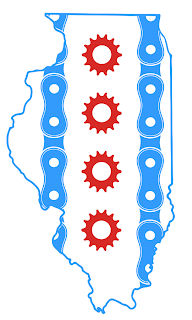 Bicycling is an integral part of the transportation plan in any modern American city and Chicago and many other municipalities throughout Illinois are at the forefront of this movement. 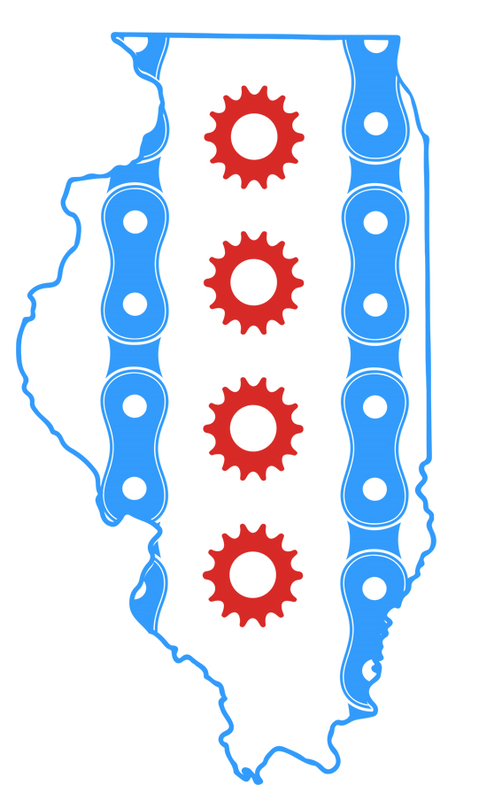 As bicycle attorneys in Illinois, we are proud to have been a part of the collective effort to support and advocate for bicycling throughout Illinois. We remain steadfast in our commitment to fight for the rights of bicyclist and adhere to our mission of providing legal advice to any bicyclists injured in a bicycle accident anywhere in Illinois at anytime. SOURCE: "WHERE WE RIDE: Analysis of bicycle commuting in American cities." Report on American Consumer Survey data by the League of American Bicyclists.